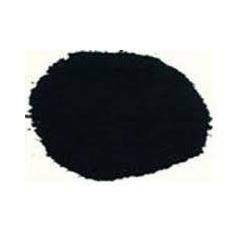 Clients can avail from us superior quality Granular Activated Carbon.These activated carbons are derived from coconut based charcoal through various processes. Commonly known as PAC, these are primarily pulverized carbon of size 0.18 mm to 10 micron (US mesh 80). these products are extensively used in liquid phase applications for flue gas treatment. These PAC can be availed from us at industry leading prices. We are exoprting Granular Activated Carbon. We possess considerable years of experience in the field of manufacturing, supplying and exporting Activated Carbon Products. The products offered by us include Powdered Activated Carbons, Acid Wash and High Purity Activated Carbon, Coconut Base Charcoal Powder, Charcoal Briquettes, Steam Activated Carbon, Coconut Base Granular Charcoal, Granular Activated Carbon (GAC), Coconut Shell, Coconut Shell Base Charcoal and Extruded Activated Carbon. These products are manufactured using high quality coconut based charcoals and are used in various industries. Our organization also offers services related to Activated Carbon Project Consultancy. The products we supply in the market are manufactured at our modern manufacturing units. These units are installed with automated machinery that facilitates in fast and cost effective production process. The production capacity of our units has increased by large ratios due to which the export percentage has gone up by 40% - 60%. Our products are strictly in accordance with the industry standards like ASTM, AWWA, IS, JIS, AW & IMC. Owing to these quality standards, we are in the process of attaining ISO 9001 certification. Our quality products have also helped us participate in trade shows like WATER EXPO -2009. Over the years, our export market has spread all over East Asia, North Europe South/ West Europe and North America. Some of our distinguished domestic and international clients include the names of Chemviron Carbon, PICA, France, EPS, USA, Crystal ACE, Aqua Designs, Global Ecocarb and Filtrex Technologies.